The FortiAP-11C is a small plug-and-play access point suitable for traveling road warriors or remote access. The FortiAP-11C is a small plug and play wireless access point suitable for travel or remote access. This compact device provides an IEEE 802.11 b/g/n radio and two Ethernet ports and an integrated power plug for flexible operation as a remote AP. The remote access point function will allow IT personal to ship pre-configured devices to remote employees. Once plugged in, the AP automatically discovers the FortiGate wireless controller over the Internet, download its configuration and offers the same SSID used in corporate environments. This enables remote employees to gain secure encrypted network access to enterprise resources over the Internet. This feature also allows IT administrators to save time and reduce helpdesk calls by eliminating the need to assist remote users to resolve access issues. Enterprises are looking to increase productivity through uninterrupted access to applications and resources, without compromising security and agility. You want to increase visibility and control of your wireless network traffic by enforcing the same policies as your wired network and eliminate potential blind spots. You also need a solution that helps you meet compliance by proactively blocking unauthorised access all while providing tools for business continuity by following industry best practices. Fortinet's FortiAP-11C wireless thin access point delivers secure, identity-driven WiFi client access that creates a fortified WLAN network. Centrally managed by a FortiGate® or FortiWiFi™ platform with its integrated wireless controller, FortiAPs allow you to deploy a comprehensive, integrated security solution for your wireless and wired networks. By acting as a wireless controller, FortiGate or FortiWiFi security platforms enable you to deploy comprehensive unified threat management (UTM) protection over your wireless network. 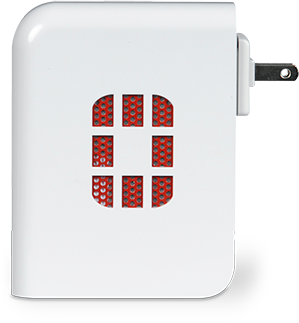 The FortiAP-11C is a small plug-and-play access point suitable for travel or remote access. 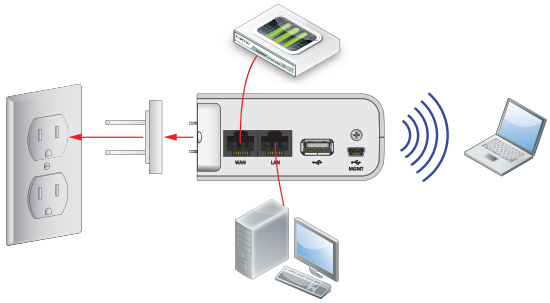 The remote access point function automatically discovers the FortiGate wireless controller in the enterprise private cloud, download its configuration and offer the same SSID used in corporate environments, so remote employees can gain secure encrypted access to enterprise resources over the Internet. This feature saves IT administrators time and reduces helpdesk calls. This access point has an integrated power plug for easy storage and installation. It uses standards-based IEEE 802.11b/g/n to proivde access to laptops and tablet devices. It also provides two Ethernet ports (LAN and WAN) to allow devices such as Voice over IP telephones to easily connect to the corporate network, enabling an instant office environment for the distributed workforce. Enteprise Unified Threat Management Protects your network with the widest range of security and networking technologies seamlessly integrated into a single device: Firewall, IPS, Application Control, VPN, Web Filtering, and many others. Application-Layer Quality of Service Going above and beyond Wireless Multimedia Extensions (WME) by offering layer 7 traffic shaping and application use control. 'Single Pane of Glass' Management Concol Unmatched visibility and control of all wired and wireless network traffic that eliminates blindspots in your security infrastructure and ensures consistent and effective policy enforcement and compliance. One Access Point, Many Uses Software reconfiguration allows one radio to be dedicated to wireless air monitoring while the other provides full AP functionality to client; software license allows simultaneous mesh backhaul and remote AP functionality. 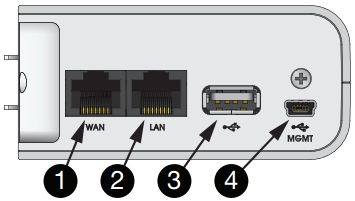 Download the Fortinet FortiAP-11C Series Data Sheet (PDF). FAP-11C replacement power adaptor plug package for Australia, China, EU, UK, US.